Echoes of Darkness is a baker's dozen of high caliber horror shorts; some have been published elsewhere and several are new to this collection. I can't say I've read a lot of Rob Smales writing, but this collection has propelled him to the top of my list of writers to keep an eye on. His stories are compelling, entertaining, and on occasion, horrific. Death of the Boy - Nothing like a solid zombie story, with a western flair, right from the get go. A Night At the Show - A night out at the movies is full of surprises. A nasty little tale with multiple twists and turns. In Full Measure - Another great little story featuring a plague of biblical proportions, described in enough detail to make your skin crawl. Followed by a chilling author's note. Those Little Bastards - A fun little Halloween tale. "That's the bad thing about holidays - Halloween in particular. The holidays bring people together. but Halloween brings the children together, and that's when things get bad, in my opinion." Photo Finish - An old Polaroid camera purchased at a pawn shop, some long expired film, yield a story straight out of The Twilight Zone. A Man Does What's Right - A werewolf story chock full of surprises. One Sock, Two Socks - If you've ever lost a sock in the process of doing your laundry, you'll certainly relate to this one. Mutes - An imaginative tale of an EMT who has a touch of the "sight." On Cats and Crazy Ladies - Clever story of the time Billy and Dagner Rob set out to rob a wealthy cat lady. The story behind how Dagner Rob got his name is a gem. Ma Liang's Crayons - A modern-day incarnation of an ancient Chinese legend. Wendigo - Probably the grittiest story in the collection, about the sole survivor of the crash of a small plane. The author did a wonderful job of showing the deterioration of the survivor's senses, over time. Playmate Wanted - What happens when a serial killer chooses the wrong victim. 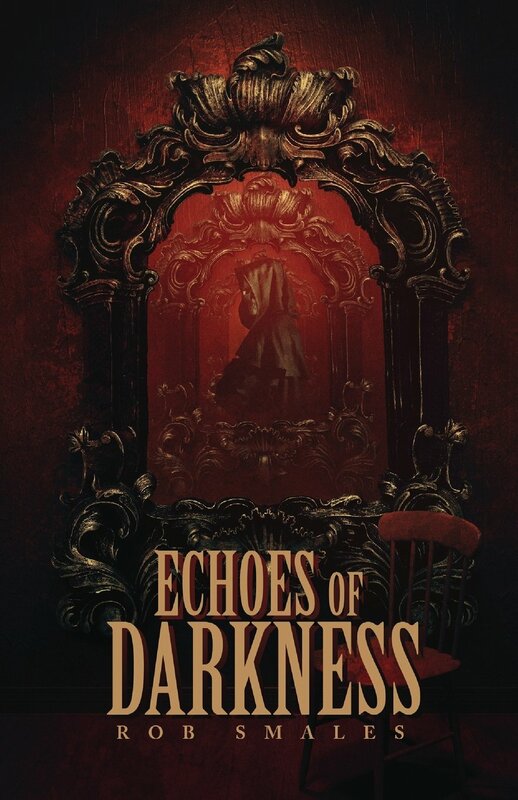 Echoes of Darkness is available in both paperback and e-book formats from Books & Boos Press. If you subscribe to Kindle Unlimited you can read this one at no additional charge and if you are an Amazon Prime member you can read it for FREE through the Kindle Owners Lending Library. Three years ago I purchased a copy of That Which Should Not Be by Brett J. Talley and just never got around to reading it. Sometimes my TBR list just gets out of control. When the publishers of That Which Should Not Be reached out to me about reviewing the sequel, He Who Walks In Shadow, I figured it would be a good idea to read Talley's first foray into the mythos of H.P. Lovecraft. As much trouble as I've had reading many of the works of H.P. Lovecraft, I found myself easily engrossed in modern day tale of Lovecraftian horror. Talley covers many of the themes found in the writings of Lovecraft with Carter Weston setting out from Miskatonic University on a mission to obtain an ancient book known as the Incendium Maleficarum, a companion to the Necromonicon. When Carter Weston travels to the port town of Anchorhead he meets four old timers each with a tale of other worldly horrors to tell. Brilliant at times, solid story-telling, steeped in Lovecraftian mythos, even if the writer takes some liberties here and there, it all results in a hell of a tale. There were a few times when the story became bogged down, but they were few and far between, and when the story is hitting on all cylinders it's as good as story-telling can be. Occasionally the writing was downright poetic. "The night was still, dead. People speak of the calm before the storm, but more truly remarkable is the calm after the blizzard. No birds sang, no dogs barked. Silence has a sound, and I heard it that might." That Which Should Not Be is available as an e-book, paperback, and hardback from JournalStone Publications. A joy to read for every horror fan. Recommended. A native of the South, Brett Talley received a philosophy and history degree from the University of Alabama before moving to witch-haunted Massachusetts to attend Harvard Law School. Brett loves every kind of fiction—from horror to literary to historical to sci-fi—as long as there are fantastic characters with a compelling purpose. There's still magic to be found in fiction, the mysterious and the unknown still beckon there, and the light can always triumph over the darkness, no matter how black the night may be. Brett writes when he can, though he spends most of his time working as a lawyer so that he can put food on the table. That is, until the air grows cool and crisp and fall descends. For then it is football time and Brett lives and dies with the Alabama Crimson Tide. Zero Lives Remaining begins in 1989 and the prologue sets the stage for what would happen down the road. "In the minutes before the horrific accident that would end his unspectacular life, Robby Asaro was engaged in one of his favorite activities. He as making a pizza." Twenty-five years later, Robby is still hanging around the arcade of the bowling alley/pizza joint where he met his fate. He just doesn't have a body he can call his own. 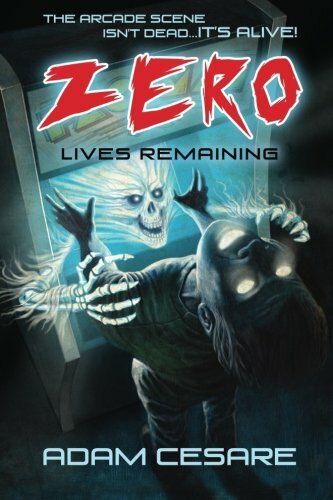 Zero Lives Remaining is a bit like a slasher movie where the villain is disembodied ectoplasm and features an ending that is damn near perfect. Having spent many an hour plugging quarters into Ms. Pac-Man and dozens of other classic games, it was easy to find myself hanging with the denizens of this after school and weekend haunt, even if the actual events did require a certain suspension of disbelieve. Zero Lives Remaining is available in e-book, paperback, and audible formats from Shock Totem Publications. If you subscribe to Kindle Unlimited you can read this one at no additional charge and if you are an Amazon Prime member you can borrow the book for FREE from the Kindle Owners Lending Library. Recommended for all the fun of a few hours in a gaming arcade...only with your life on the line. Adam Cesare is a New Yorker who lives in Philadelphia. He studied English and Film at Boston University. His books include Video Night, The Summer Job, Tribesman, Exponential, and Mercy House. Soul Mates begins with a tragic day in Nowhere, Minnesota and a genuine OMG moment. As a father and a grandfather, I can honestly say there is no worse feeling than being totally unable to do anything in a dire situation which ultimately results in the death of a child. It's nine years later when we are introduced to twins Alanna and Savanna Clark who run away from home at sixteen to get away from a life where their mother was killed by their father who is in prison for life. Parallel to this story-line is the tale of Jeremiah Moore whose life long ambition is to be world class magician . Eventually Alanna and Jeremiah's paths cross in Seattle, Washington. Along the way there are numerous oddities which don't seem to make a lot of sense, but eventually it all comes together in a most unusual way. So much so, that I may have to read this book again later, just to see all the clues I missed. 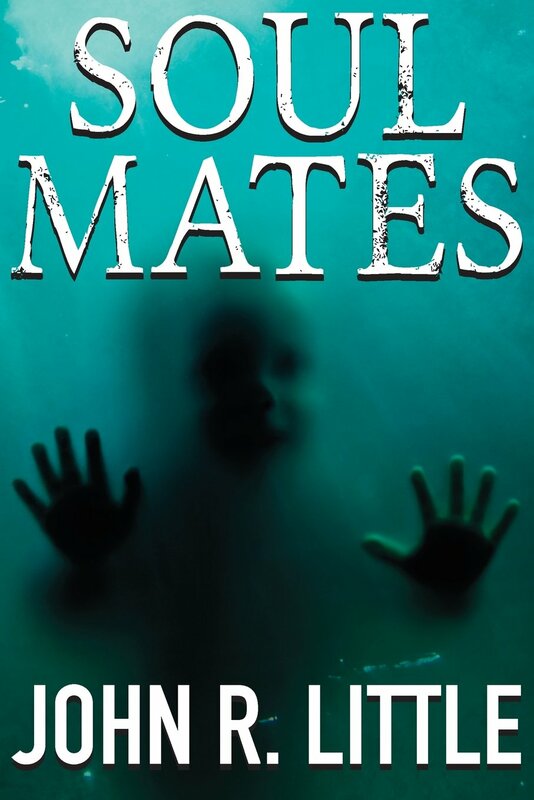 Despite the title, Soul Mates, is not a tale where the characters live "Happily ever after." As a result, I think the author has given us a much better story. It is a book you need to be involved in. It's not a casual read. I wouldn't recommend reading this one in an area with a lot of distractions. Soul Mates is one of those tales that looks like it's going to be about one thing and then throws you a curve ball you never see coming. It's is currently available in both paperback and e-book formats from JournalStone. John R. Little is an award-winning author of suspense, dark fantasy, and horror. He currently lives in Ayr, a small town near Kitchener, Canada, and is always at work on his next book. John has published 14 books to date, including Darknet, which came out about a year ago and takes a frightening look at the dark side of the internet. 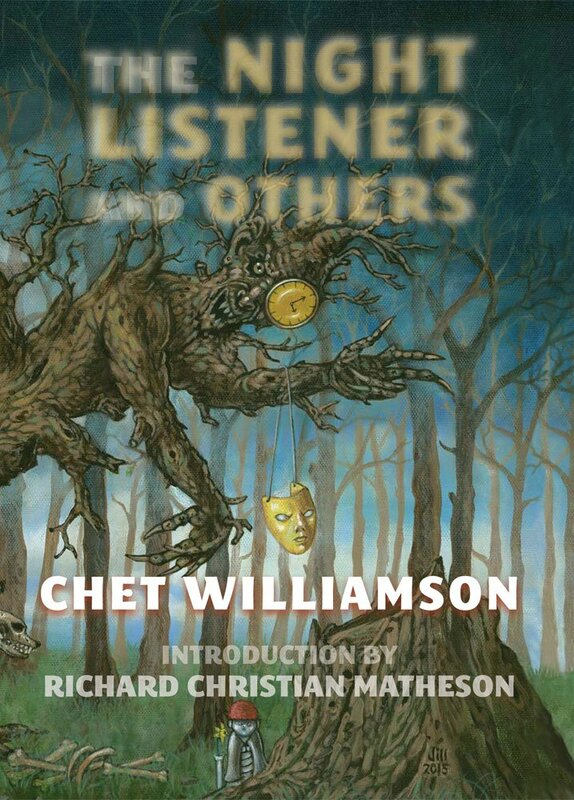 In his Introduction to The Night Listener and Others, writer Richard Christian Matheson says of Chet's writing, "Williamson could make a grocery list involving." Not that I'd like to read what's on the menu at the Williamson household, but we get the idea. As a writer, Chet Williamson sees beyond the ordinary and finds what is intriguing about a situation, gives it just a tweak from his imagination, and is able to get it all down on paper in a way that makes it compelling to the reader. Included in this new collection are 21 short stories and another tale of novella length. There are ghost stories, tales of things that go bump in the night, sad stories and some that will bring a smile to your face, even a couple of tales inspired by Chet's brief time in Japan. THE NIGHT LISTENER - A nice, quiet, little story which deftly creates tension and continues to build upon it, until...snap. SEASON PASS - The tale of Carl and Ethel Younger who have been coming to the Magicland amusement park forever, even when it was still known as Rocky Grove Park. A charming little tale with a perfect twist, like an old episode of The Twilight Zone. NIGHT DEPOSITS - A story of greed and how one man will go to great lengths to make things right late in life. TO FEEL ANOTHER'S WOE - A terrific story of an actress who can steal other's emotion. Chet has been a long time member of the Actor's Equity Association and I love the way he took that experience and extrapolated it into a wonderful story of speculative fiction. "YOUR SKIN'S JES SOFT 'N PURTY" HE SAID - Eustace P. Saunders is an illustrator from NYC who travels to the wild west seeking characters of ill repute for both inspiration and unsavory relations. What could possibly go wrong? Enjoyed the clash of cultures in this story. Well told. THE CONFESSIONS OF ST. JAMES - John 7:53,56. Pastor Brandon St. James follows this scripture to the extreme. A really good novella length story with a couple of completely memorable characters. THE ASSEMBLY OF THE DEAD - The one story in the collection that just didn't work for me, but it might turn out to be your favorite. Stories are often like that. THE HEART'S DESIRE - Reminiscent of Chet's novel Second Chance. A story of temporal revisualization. A way to go back and re-experience life's greatest moments. THE PACK - At the end of the book, Chet offers insight into each of the stories in the collection. This particularly grisly tale came about when his wife's uncle asked him, "Why don't you ever write about puppies and kittens." As, is so often the case, be careful what you wish for. THE SWING OF THE KNIFE - Be careful of what you believe. It can literally be the death of you. THE PEBBLES OF SAI-NO-KAWARA - A compelling tale of choices made and lived with, made more powerful by Chet's telling of how the story came about. A FATHER'S TEARS - This story has my favorite opening line in the collection. "I remember my father crying only twice in his life. The first time was when I got married. The second was when my own son died. Both times he cried because he lost a son. Whether or not they stayed lost is open to conjecture." JEAVES AND THE DETERIORATING RELATIONS - A wonderful combination of comedy and horror and one of my favorites for a very personal reason. It's the short that Chet read at Horrorfind in Gettysburg, PA a few years ago, my first horror convention. THE SMOKE IN MOONEY'S PUB - Well-written with lots of passion. One of the best Chet Williamson stories I've ever read. Once again taken from personal experience and then adding a twist. FROM THE BACK PAGES - This was a rather odd, but enjoyable story told completely through letters, news clippings, and police blotters. "AND SO WILL I REMEMBER YOU" - This is a charmingly sweet ghost story that actually gave me chills. A TRICK OF THE LIGHT - Strong speculative fiction concerning the truth about that light people see when they die. MARLEY'S CAT - We all know Marley from Dicken's A Christmas Carol. This takes place prior to those events and is told by Marley's cat. THE FINAL VERSE - Another wickedly enjoyable story about "Mother Come Quickly," an old song that's been covered again and again, but with a lost verse. Here we find out what happens when that lost verse is finally found. APPOINTED - Inspired by Chet's visit to Horrorfind a few years ago. A touch of Lovecraftian horror. SILKEN WORDS - This is a previously unpublished story of a man's descent into madness and a dead Vincent Price comes along for the ride. BLANKET MAN - One more story inspired by the author's time in Japan. The Night Listener and Others is a strong collection of mostly previously published material. Not every story was great, but the ones that were, far outweigh the few that didn't quite work for me. Overall, one of the better collections I've read this year. Currently available in hardcover only, from the UK's PS Publishing, as both an unsigned jacketed hardcover and in a signed slipcased edition limited to 100 copies. Chet Williamson has been writing horror, science fiction, and suspense since 1981. Among his novels are Second Chance, Hunters, Defenders of the Faith, Ash Wednesday, Reign, Dreamthorp, and the forthcoming Psycho Sanitarium, an authorized sequel to Robert Bloch's classic Psycho. He is the recipient of the International Horror Guild Award and has been nominated six times for the HWA's Stoker Award. A stage and film actor, and has recorded over 40 unabridged audiobooks, both of his own work and that of many other writers. You can follow him on Twitter @chetwill or at www.chetwilliamson.com. Top notch writing, enjoyable prose, a twisted and demented story, but I was a bit lost at times. Seems Good Girls is book 2 in the Motherless Children Trilogy. Something the publisher failed to mention when promoting the book. Now that it's for sale to the public, I see that it's listed that way, but it's also being touted as a stand-alone novel. I, personally, would have preferred reading Motherless Child first. "In the heart of the hollow, at the mouth of the Delta, the monsters were dancing." There are some strange goings on in this story, with multiple story-lines tied together deftly, plus there's human curling. I'd love to see that as an Olympic event. It's got to be more exciting than the actual sport. All-in-all, Glen Hirshberg has written a dark and disturbing tale. My kind of stuff. I'll just have to read Motherless Child before reading book 3 in this series. Good Girls is published by Tor/Forge and is currently available as an e-book. If you're interested in reading this one, I'd highly recommend you do so after reading Motherless Child. 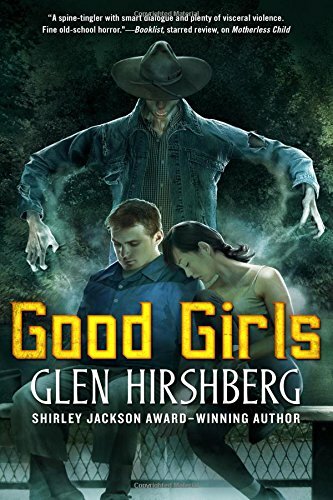 Glen Hirshberg has won three International Horror Guild Awards (including two for Outstanding Collection), and his novella, The Janus Tree, won the inaugural Shirley Jackson Award in 2008. He also has been a Bram Stoker Award finalist and a five-time World Fantasy Award finalist. While teaching at Cal State San Bernardino and at Campbell Hall in Studio City, he developed the CREW Project, through which he trains his advanced students to run intensive creative writing workshops for secondary and elementary schools that have no programs of their own. He lives in the Los Angeles area with his wife, son, daughter, and cats. There's something off about Arthur Lipscomb who finds himself on the fifth floor of Appleton Court, at the very center of the Northcote housing project. It's a building that's been abandoned and scheduled for demolition, but an old book, written in an archaic language, has drawn Arthur to this very location. The book demands he perform a ritual, one that require requires his blood. Before he can complete his mission a security guard shows up and because of his condition, Arthur is rushed to the emergency room at Northcote hospital. Dr. Richard Dearden is near the end of his shift in the emergency room. When Arthur is brought in, Health Care Auxillary, Kerry Morris commented "...he was rambling about gods and monsters and parallel universes. I though I was in the X Files for a minute." 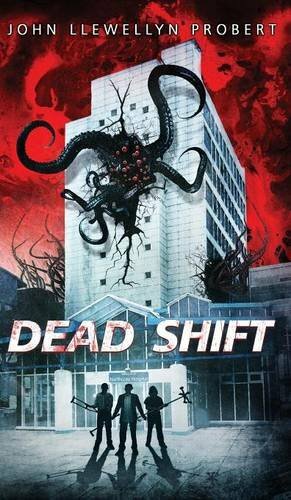 The overall feel of Dead Shift was familiar, yet there were a few genuine surprises, enough to keep the story fresh. In addition to a bit of Lovecraftian horror, there are elements of The Evil Dead series in Dead Shift. The scene in the hospital morgue is to die for. (Pun intended). This book was a lot of fun, particularly if you enjoy inter-dimensional monsters and such. Things like monsters, zombies, and fungi...oh my (I couldn't resist). Dead Shift is available from Horrific Tales Publishing in both paperback and e-book formats. If you subscribe to Kindle Unlimited you can read this one at no additional charge and if you are an Amazon Prime member you can borrow the book for FREE from the Kindle Owners Lending Library. John Llewellyn Probert won the 2013 British Fantasy Award for his novella The Nine Deaths of Dr. Valentine and 2015 saw the publication of its sequel, The Hammer of Dr. Valentine. He is the author of over a hundred published short stories, six novellas, one collection, and the novel The House That Death Built. It's been a year since the events in The Beast of Barcroft and friends Ben McKelvie and Lindsay Clark are still trying to put their lives back together when they each get a call from the mysterious, and very wealthy, Richard Severance, asking them to drop everything and head to Minnesota. Richard has a fascination with cryptozoology, a pseudoscience involving the search for animals whose existence has not been proven due to lack of evidence. This includes living examples of animals that are otherwise considered extinct, animals whose existence lacks physical evidence but which appear in folklore, such as Bigfoot and Chupacabra; and wild animals dramatically outside their normal geographic ranges. 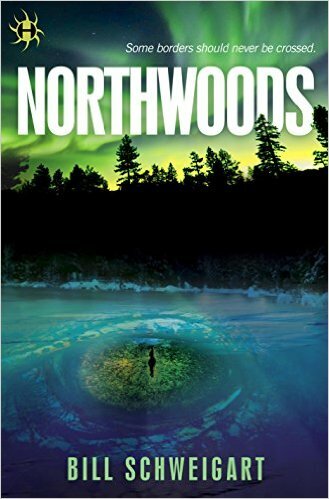 In The Beast of Barcroft the cryptid was a mythical creature out of native american folklore, in Bill Schweigart's new book, Northwoods, there're multiple threats and once again Ben and Lindsay end up in the middle of the commotion. By the way, it's not necessary to read The Beast of Barcroft first, but it wouldn't hurt. I love how the author wasted little time in getting to the action and presenting the reader with a thrilling mystery to be unraveled over the course of the book. Schweigart's characters are multi-faceted and delightfully flawed, just like the people we know in real life. This is good, because what they encounter is so fantastical, it's nice to have some kind of grounding in reality. Much of the story takes place on the shores of Lake Superior, or Lake Gitchigumi, I mention this for no other reason than to say Gitchigumi. I just love the way the word rolls off of my tongue. Northwoods is not without its flaws, but I don't care. It was a fun read with plenty of monsters and as the pages dwindled there was plenty of action, providing an adrenaline rush which was truly satisfying. Northwoods is available now as an e-book from Hydra, an imprint of Random House. Recommended for monster fans everywhere. Bill is a former Coast Guard officer who drew from his experiences at sea to write the taut nautical thriller, Slipping the Cable. He's also the author of the chilling thriller, The Beast of Barcroft, which finds a devilish creature stalking the residents of Arlington. Bill currently lives in Arlington, VA with his wife and daughter, who along with their monstrous Newfoundland and mischievous kitten, provide him with all the adventure he can handle. Admittedly, I'm a bit of a pessimist. I see an anthology series that's in it's fifth incarnation and I fully expect it not to be as good as its predecessors. I'm overjoyed to say that is not the case with the SNAFU series from Cohesion Press. It's hard to believe that a little over eighteen months ago the very first SNAFU anthology saw the light of day. "My expectations were not that high for this anthology. Although, I love horror, in all it's many forms, I've never been that big a fan of the military story. Well, I needn't have worried at all. SNAFU: An Anthology of Military Horror delivers. Every story killed (pun intended)." 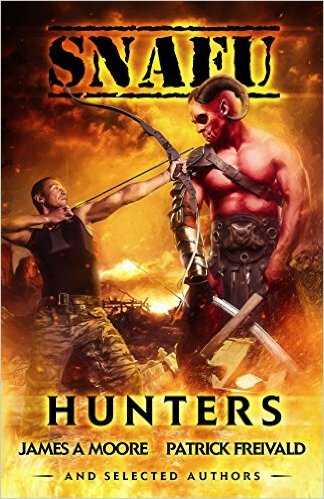 Each book in the series has taken a slightly different approach to the military horror theme, this time it's all about hunters, both the hunter and the hunted. Apex Predator - N.X. Sharps & Tim Marquitz - Nick is the Social Media Coordinator and Commissioning Editor for Ragnarok Publications, a book critic and aspiring author. Tim is co-owner and Editor in Chief of Ragnarok Publications. Tim is also the author of the Demon Squad series and is working on his tenth book in that series. "Apex Predator" is a solid start to this anthology with a group of genetically modified warriors assigned to retire a predecessor gone amok. The story features some well constructed battle scenes. Two Birds - Evan Dicken - Evan received his M.A. in East Asian History from the Ohio State University, after which he spent more than a little time in Japan. He writes whatever he has ideas for: primarily science fiction, horror, and fantasy. "Two Birds" is an entertaining tale steeped in Japanese folklore. Non-Zero Sum - R.P.L. Johnson - Richard was born in Botswana and raised in England, he now lives in Melbourne, Australia with his wife and two young sons where he works as a structural engineer and part-time writer. "Non-Zero Sum" is a terrific story of a suicide mission with a team being dropped into the after-effects of a nuclear detonation in the middle of the Sonoran Desert. What they discover is truly mind blowing. Only Stones in Their Place - Christine Morgan - Christine works at a psychiatric treatment facility. The long overnights play havoc with her sleep schedule, but they offer her ample time to write on the company clock. So, in a sense, her hourly rate is not too shabby when you think about it. "Only Stones in Their Place" features Vikings, Norse mythology and some very well-written fight scenes. That Old Black Magic - James A. Moore - James is the award winning author of over twenty novels, thrillers, dark fantasy and horror alike, including the Serenity Falls trilogy (featuring his recurring anti-hero, Jonathan Crowley). As a matter of fact, "That Old Black Magic" just happens to feature Jonathon, and is one of my favorites in this collection. Ngu'Tinh - D.F. Schultz - I searched and searched for info on D.F. Shultz and finally gave up. I'll just call him the elusive D.F. Schultz. "Ngu'Tinh" is a wonderful tale of demons and dolphins in the Vietnam war. Warm Bodies - Kirsten Cross - Kristen has a story in every SNAFU book in the series. Quite an accomplishment. "Warm Bodies" features a very convincing new breed of vampires called Taints. This is the story of a training exercise for new recruits fighting these monsters and things go horribly wrong. The Bani Protocols - Rose Blackthorn - Rose Blackthorn writes speculative fiction from the high mountain desert of eastern Utah and has had a number of stories appear in some pretty impressive anthologies over the years, "The Bani Protocols" is a somewhat Lovecratian story featuring other worldly hostiles with a great twist. Hungry Eyes - Seth Skorkowsky - Seth was born beneath the pine trees of East Texas. He's the author of the Valducan series; An ancient order of knights wages a hidden war against demons, monster, and dark cults. Each Valducan knight is sworn to a holy weapon imbued with a unique power and each has their own story to tell. "Hungry Eyes" is set in this very world and works well as a stand-alone story and serves as a nice introduction to the series. The Secret War - David Amendola - David is another author it's difficult to find infomation on, but he has had stories in the odd numbered books in the SNAFU series. "The Secret War" is an exceedingly violent story of upir, the generic Russian word for bloodsucking monsters such as vampires and ghouls. Outbreak - V.E. Battaglia - Yet another author without much of a presence on the interwebs. "Outbreak" is another of my favorite stories in a book filled with above average tales. I do enjoy a story where the good guys don't always win. Droc-fhola - Brad C. Hodson - Originally from Knoxville, TN, writer Brad C. Hodson currently hangs his hat in sunny Southern California. He’s done rewriting and script doctoring work on films in every genre, as well as some original projects. His first novel, DARLING, is available through Bad Moon Books. "Droc-fhola" is set in the Roman Empire with an elite group of Centurions battling the unknown. Bonked - Patrick Freivald - Author, Beekeeper, Teacher. I've been reading Patrick's work for several years now. I loved his teenage zombie books, Twice Shy & Special Dead. And his new series featuring Matt Rowley, a commando for the International Council on Augmented Phenomena. "Bonked" is a short story set in the Matt Rowley universe and was just what I needed to tide me over to the next book. I don't know that military horror was a thing before the SNAFU series of anthologies, but it's certainly a thing, now, and I hope they keep on coming. SNAFU: Hunters is currently available as an e-book from Cohesion Press. 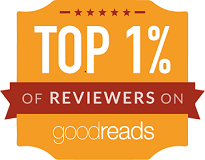 If you subscribe to Kindle Unlimited you can read it at no additional charge and if you're an Amazon Prime member you can read it for FREE through the Kindle Owners Lending Library. I highly recommend all of the books in this series. In 2015, I was fortunate enough to read 142 books. In January of 2016, I posted my 10 favorite reads of the year gone by. My #1 favorite read of last year was a debut novel from John McIlveen, called Hannahwhere. That same book has been nominated for a Bram Stoker Award in the category, Superior Achievement in a First Novel. If you haven't read this book, I strongly recommend you correct that oversight. John just published a new novelette and I jumped at the opportunity to check it out. Got Your Back is a quick read, coming in at a mere 50 pages, but it's just as enjoyable as his longer work from last year. Ricky Briggs wakes up one morning and notices something is not right. He can't get out of bed. He can barely move. And he can't even turn his head. "It wasn't pain and the difficulty to move that worried him, but the lack of pain and the difficulty to move." What the Doctors discover is astonishing, truth be told, his condition is unheard of. An unexpected visitor, that only Ricky can see, reveals the reason for his predicament. But is it too late to save himself and his marriage? Got Your Back is a clever little fantasy tale, easily read in a single sitting. It's a play on words with some very nice twists. 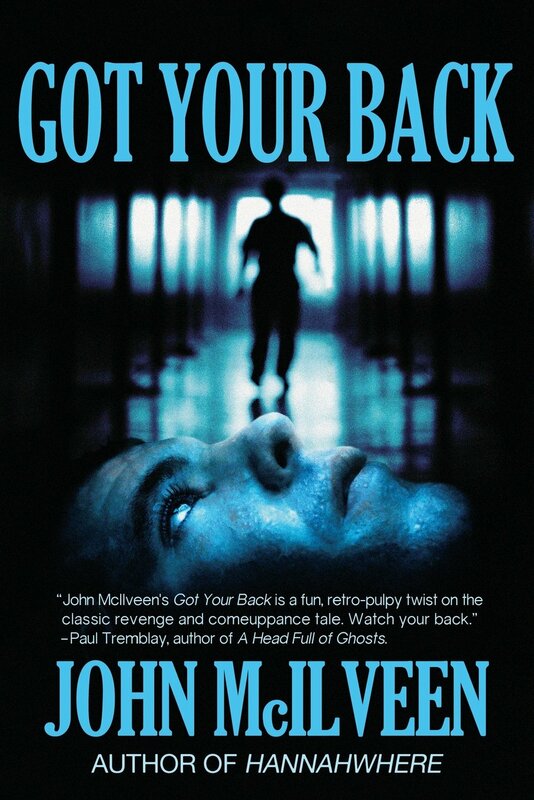 Got Your Back is available now in both paperback and e-book formats. In addition to Hannawhere and Got Your Back, John is also the author of two story collections, Inflictions and Jerks and Other Tales from a Perfect Man. He is the father of five daughters, works at MIT's Lincoln Laboratory, and lives in Haverhill, MA with his fiancée, Roberta Colasanti. I've been reading Tony Tremblay for a few years now, but this is the first time I've read any of his fiction. Most of what I've read previously are his posts on Facebook. Tons of them. Tony has quite the presence on social media and that's a good thing, particularly if you're a fan of literary horror. Tony's support of the genre is nothing short of legendary. If you're a fan of Horror, as I am, he's certainly worth following on Facebook. When I saw he was releasing his first book of short stories, I had to see what he had to offer, and I'm happy to report it's a book worth getting excited about. The Seeds of Nightmares features thirteen stories, some previously published, many new to this collection, all entertaining in their individual ways. One of the nice things about this collection is the series of author's notes before each story, giving the reader some insight into how the story came about and it's history. The Strange Saga of Mattie Dyer - Weird westerns are a lot of fun and when you mix in a bit of H.P. 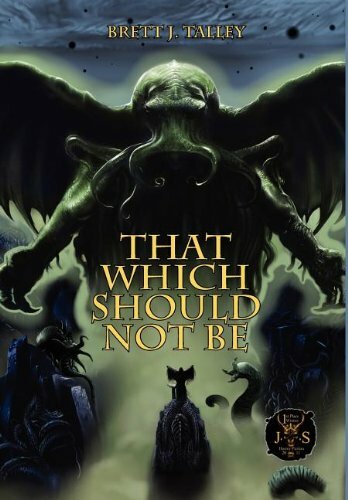 Lovecraft, well, get ready for a wild ride, and just when you think the worst is over...oh, no! The Old Man - A bit of noir and a clever tale of mistaken identity. The Burial Board - A burial board, meant to keep the body of a couple's deceased daughter until the ground thaws for internment, seems to have mystical powers. Something New - A haunting fantasy story of a man who comes home to find his wife in the arms of another man. Stardust - A melancholic fantasy tale that leads from pain to wonder. The Soldier's Wife - A powerful ghost story with a gut-wrenching twist. Tsunami - The author's backstory for this tale is fascinating. When you read The Seeds of Nightmares be sure to read the author's notes. Tsunami is the story of a family torn apart by disaster. It's only natural to grasp at any ray of hope to be together again. But, oh, what a twist. The Black Dress - "Dash had killed her a little over two months ago." Her revenge is oh, so sweet. Chiyoung and Dongsun's Song - Another story with a colorful history. A titillating and humorous tale of forbidden love. Husband of Kellie - Many of Tony's stories have an unexpected twist and this one is a doozy. An Alabama Christmas - A gruesomely dark tale of an Alabama Christmas. The Pawnshop - My favorite story in the collection. A fine tale of the lengths we are willing to go for family. The Visitors - There's a touch of fantasy mixed in with many of the horror stories in this collection. The Visitors is a perfect example. 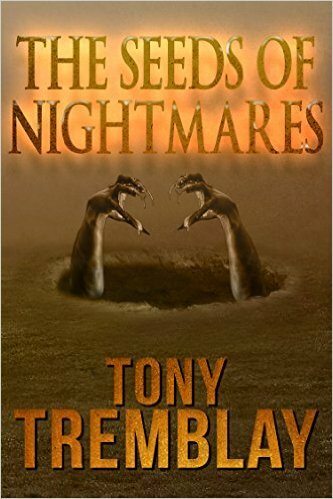 The Seeds of Nightmares is available as an e-book and is published by Crossroad Press. In addition to being a horror fiction writer, Tony Tremblay is also a founding member and host of The Taco Society Presents, a series of webcasts featuring horror books and the people who write them. You can find the episodes on YouTube and they are definitely worth checking out.